This morning I put into practice some basic chain maintenance. 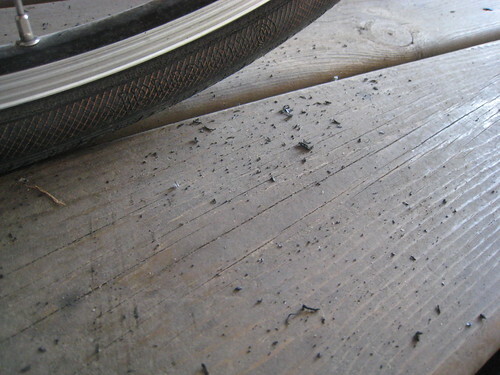 I wiped down my chain. Too many rides through wet and grimy roads and then a few miles on crushed limestone path this past weekend had left too much grit accumulating on my chain. Per Mike Kaelon’s advice in “Lube it or Lose it,” I followed the advice to “first wipe the chain down, and get it as clean as possible just using a rag.” I know I need to do better in my daily – post-ride – maintenance of my bikes. Unfortunately I usually allow too much time to pass between such maintenance and my chains often end up gunky and worn out more quickly than they should be. I’m currently using SpinPower Superior Chain Lube and have yet to test the White Lightning “The Trigger” Clean Streak Chain Cleaner. We’ll see how ambitious I feel in pursuing my in-home mechanical skills or if my bikes just end up in the shop. I have been using Simple Green lately. It works great. I just soak the chain in it, dry it with a rag, and then lube it up. Works great. I haven’t put my rear derailleur in it, but figure I could. A shop guy told me to avoid Simple Green — as it can leave a residue film. But — I do have it and have liked it in the past. I used to used it to clean my rims, but now (per my LBS’s advice) just use alcohol on a rag for that job. Haven’t tried it on any drivetrain parts. Nice post. 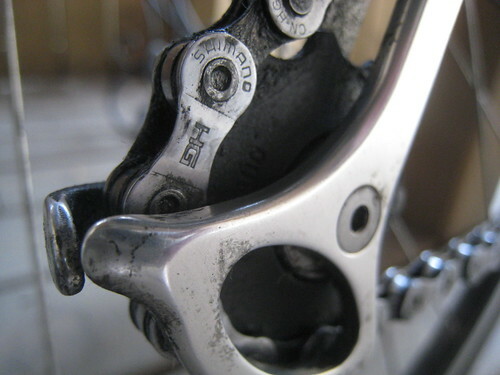 I just had a 10 spd Shimano Dura Ace chain snap, it was actually a little mucky as its easy to get into bad habits of spraying stuff on, but not cleaning muck off. I’m primarily a mountain-biker but the same rules apply whether you’re riding on or off road when it comes to the chain. 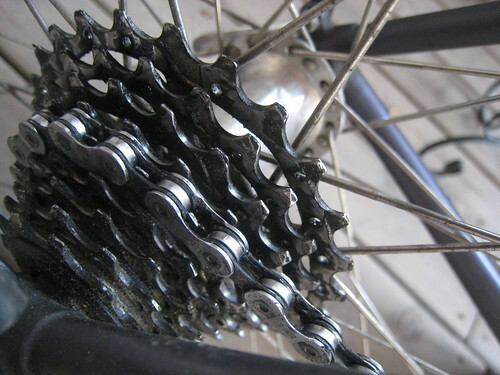 A dirty chain will grind away at all the other components it comes into contact with and will reduce the working life of chain rings and rear cassette, etc. 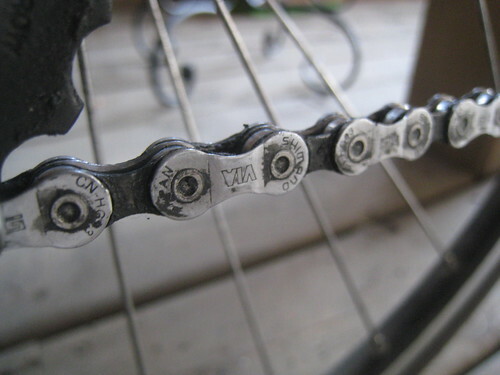 A clean chain will prolong the life of the other drive-train components and cost you less in the long run. 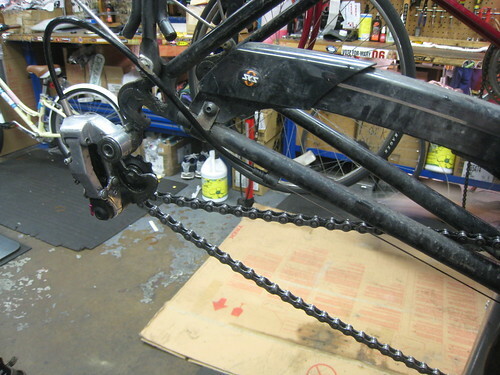 It’s also safer–a clean, well-maintained chain is less likely to break.